Robert Neill has covered the best part of twenty years working within the various departments of the UK wine trade beginning in retail then eventually into the wine wholesale market selling directly to the hospitality industry. In 2002 he set up his own wine importation and distribution business up to present day through Neill & Co.Fine Wine Importers (Trade) and Neill Wine (Retail). Robert’s reputation has been built on knowledge, honesty and the ability to offer a wide range of products that brilliantly capture their regional and varietal styles at an unbeatable price. 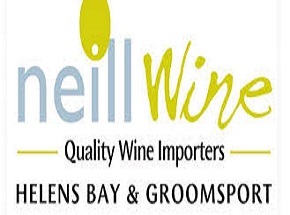 Neil Wine has a wholesale division supplying to many restaurants, hotels and golf clubs across Northern Ireland as well as two retail outlets in North Down. They import wine from all the major wine producing regions of the world and as an independent their wines are exclusive to their two retail outlets. They have fully embraced the current buzz around local craft beer and ‘The Beer Wall’ at Neill Wine in Groomsport is a beer lover’s delight!